Group Visits at Lost World Adventure Golf01493 731500work Group VisitsLost World Adventure Golf, Hemsby, is pleased to welcome visiting groups and provides a range of group friendly rates/incentives to enhance your visit. 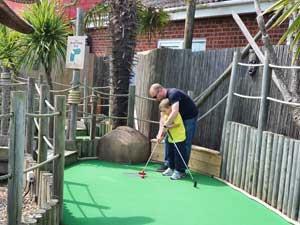 Lost World Adventure Golf in Hemsby, Great Yarmouth. A stunning 9 hole, dinosaur themed mini-golf course, with Aztec waterfall and water features. Pan for gold and receive a souvenir medallion! Winners trophy for groups of 20+ (pre-booking required). Fully landscaped and illuminated at dusk. Hot food and hot and cold drinks available on site. Member of the British Mini-Golf Association. Group organiser and coach drivers receive free entrance to 'Lost World Adventure Golf' + free hot drinks & donuts. Nearest Coach Park: Free coach parking available in car park opposite. Drop Off Point: Main Road adjacent to entrance. 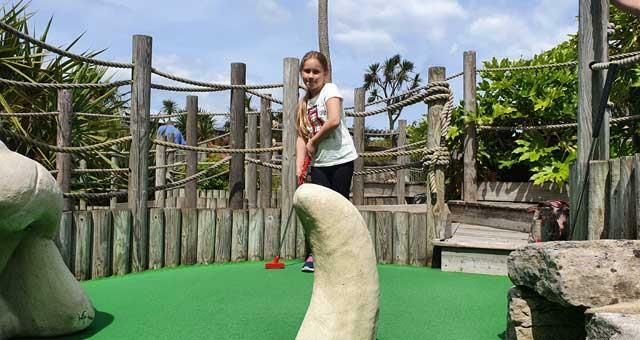 Lost World Adventure Golf, Hemsby, is pleased to welcome visiting groups and provides a range of group friendly rates/incentives to enhance your visit.